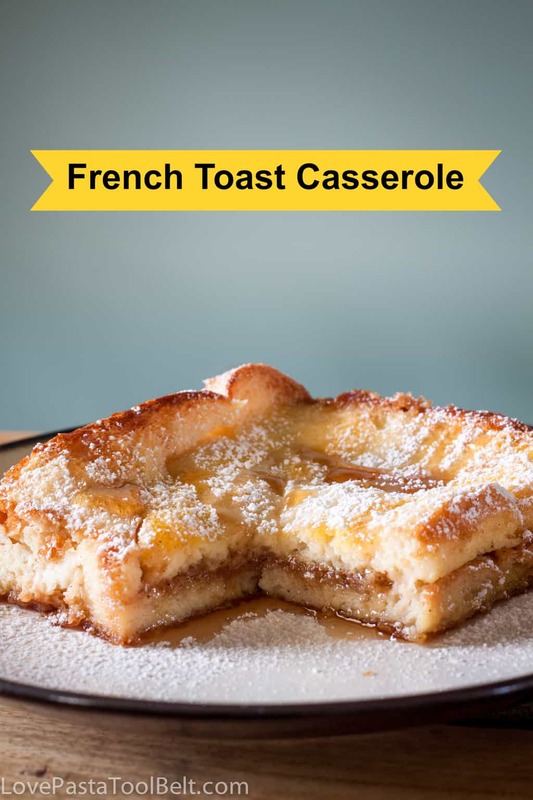 French Toast Casserole is the perfect make ahead breakfast recipe. It’s a sweet and delicious recipe the whole family will love. I love Saturday morning breakfasts. Since we are always rushing to get out the door to church on Sunday that makes Saturday our relaxed morning. We don’t have kids yet so we are enjoying being able to sleep in and enjoy a nice leisurely breakfast together. One of my favorite things to make for Saturday breakfast is this French Toast Casserole. And it doesn’t hurt that it makes a lot so I can enjoy it during the week. I have a great love for anything with brown sugar and french toast. 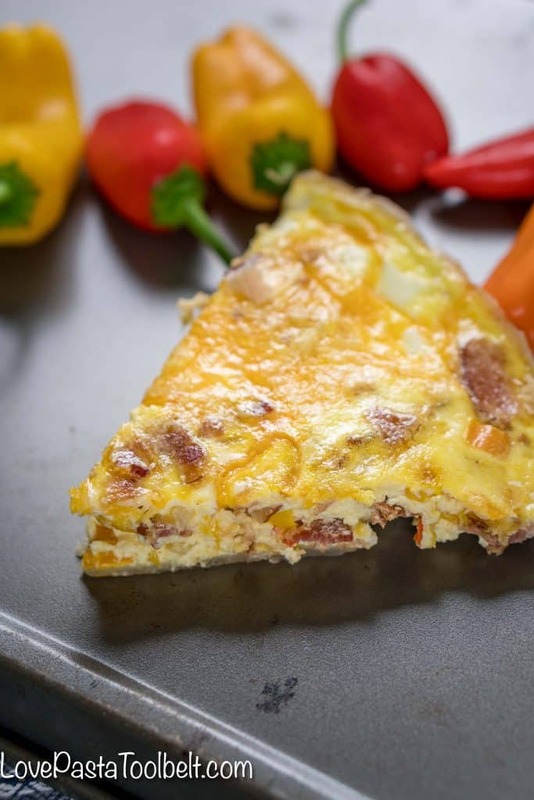 With this recipe the two are combined into the ultimate breakfast casserole. This is a dish that my Aunt Melanie makes so I got the recipe from her because I wanted to make it for us. It is simple to make, sweet and delicious. You prepare it the night before in your casserole dish then put it in the oven in the morning and you get a delicious breakfast. Breakfast is probably my favorite meal of the day. I love grits, french toast, pancakes, and the list could go on and on. I’m a sucker for breakfast foods of most kinds. 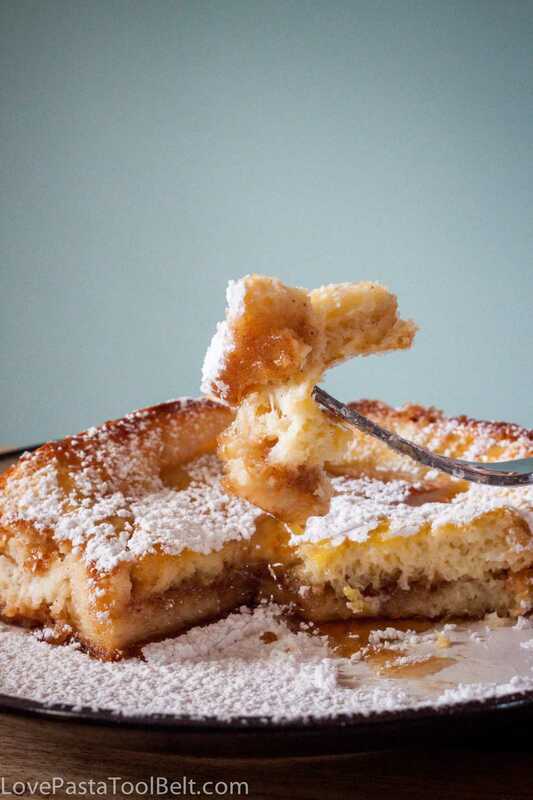 This French Toast Casserole ranks right up there at the top with a good bowl of cheese grits. What is your favorite breakfast food? 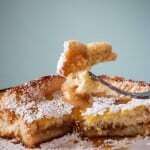 French Toast Casserole is the perfect make ahead breakfast recipe. 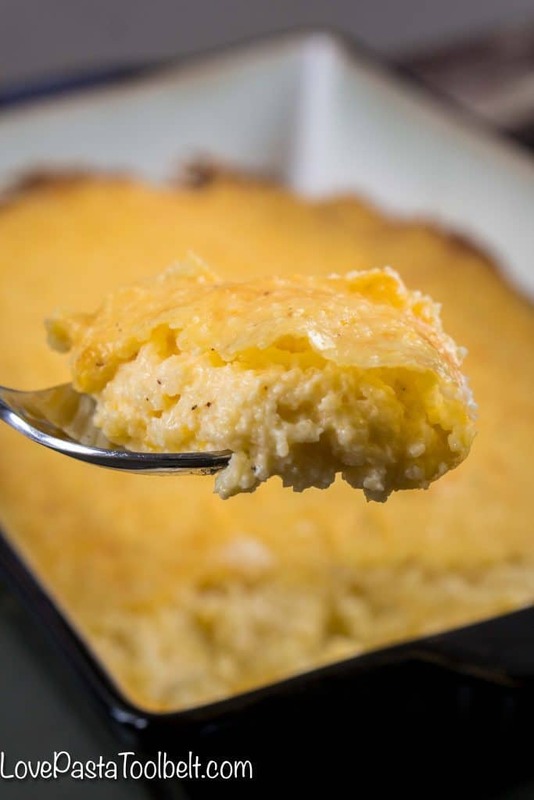 It's a sweet and delicious recipe the whole family will love. Need more breakfast ideas? Check out some of our other favorites! I agree with you…breakfast is my favorite! I could eat it for every meal and be perfectly satisfied! The fact that it can be sweet or savory is the ultimate meal type 🙂 Pinned this! Yes I totally agree, I love breakfast! Thank you for pinning! 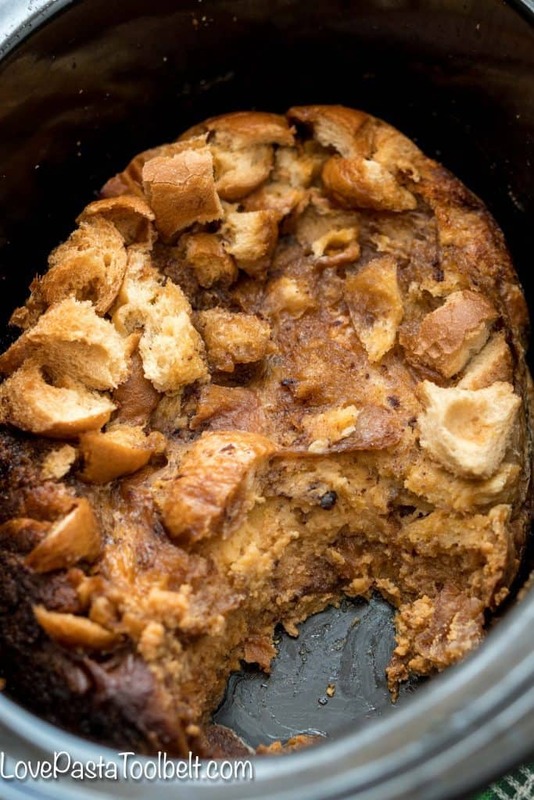 Do you recommend this recipe or the crock pot French toast you also have posted? I’m host a brunch and I’m wondering which is yummiest. This recipe is my personal favorite! And I love that you can make it ahead of time and it’s simply delicious. The crock pot french toast is yummy as well but not as sweet! I think I now now what I am doing for dinner tonight! That looks wonderful!! This looks AMAZING! I have never been a huge fan of French toast but seriously, how can anyone not love this?? Yeah it is so yummy! I love baked french toast! Looks so good! I love Saturday morning breakfast! This is a great recipe, can’t wait to try it!! Thank you for checking it out. I hope you enjoy it! I love breakfast for dinner! Thanks for coming by! I love breakfast anytime of the day! Looks so good! Thanks for sharing on Whatever Wednesday on Thank You Honey! Hope to see you again next week! oh my, my youngest son would love this! YUM!! I am SO trying this!! 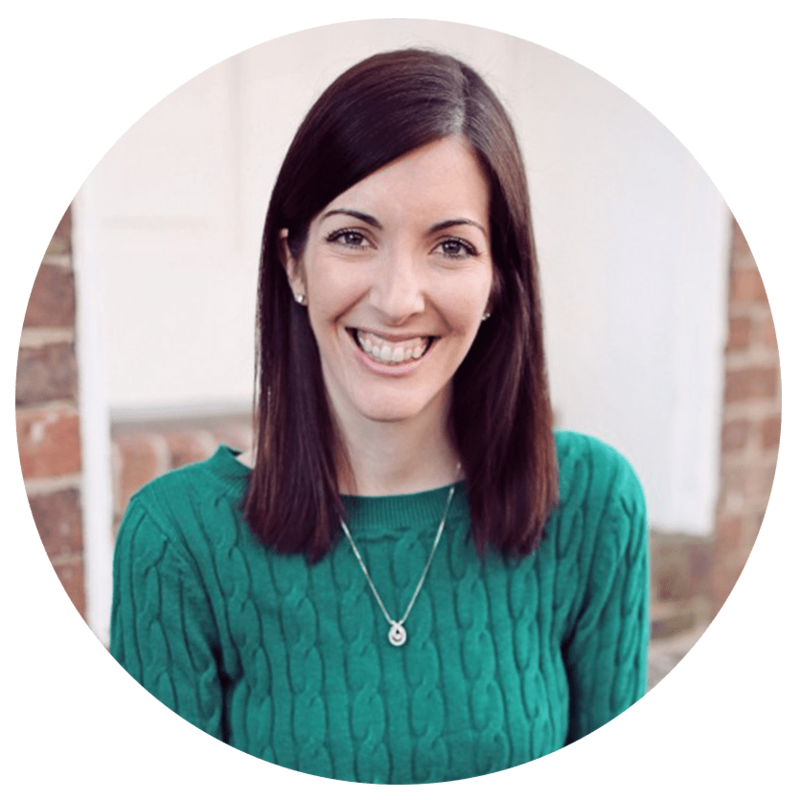 Thanks for sharing at The Mommy Club Linky Party! I hope you enjoy it! We love it! I added bananas and used raisin bread. Banana Foster French toast. Yummmm. Hey Emily, I want to make this for our friends that we’re staying in the cabin with this weekend. Would you recommend doubling the recipe for 8 people? And if so, would it be easiest to just make 2 casseroles? I think I would recommend doubling it, just to be safe! It’s also really good leftover if you end up with leftovers. And yes I would make 2 casseroles to double it, I think that would be easiest because one is about the size of a 9×13 casserole dish! This sounds so delectable! I’m checking the pantry right now to see if I have the ingredients for it before we head to the grocery store tonight. Definitely on our weekend menu now! Thank you for sharing at Freedom Friday! I hope you enjoy it! It is a family favorite with us! No fair – I’m getting hungry just looked at this recipe! Visiting from the #HomeMattersParty this week and glad I found your block. It’s one of my favorite recipes for sure! This would be perfect for me – I hate making breakfast in the morning! Thanks for bringing this by Throwback Thursday! I’m not sure, I’ve never tried it before. I’m afraid it may come out soggy if it was frozen but I don’t know.